To keep your drink cool without diluting the flavour, freeze the grapes before using for garnish. In a serving glass, combine Monin white grape syrup & soda. Top up with 100ml pre-brewed tea. 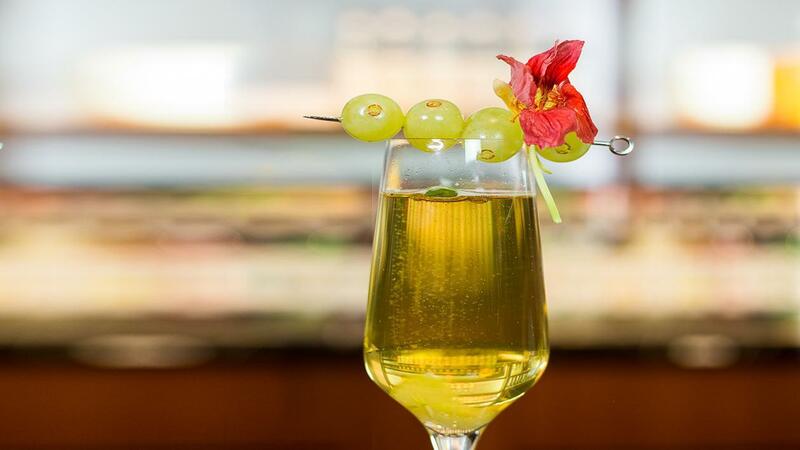 Garnish with edible flowers and grapes.